In 1979 BolderBOULDER first started with a group of runners that wanted to create an annual event that covered 10K in distance. Forty years later the event has expanded to over 50,000 runners and thousands in attendance. 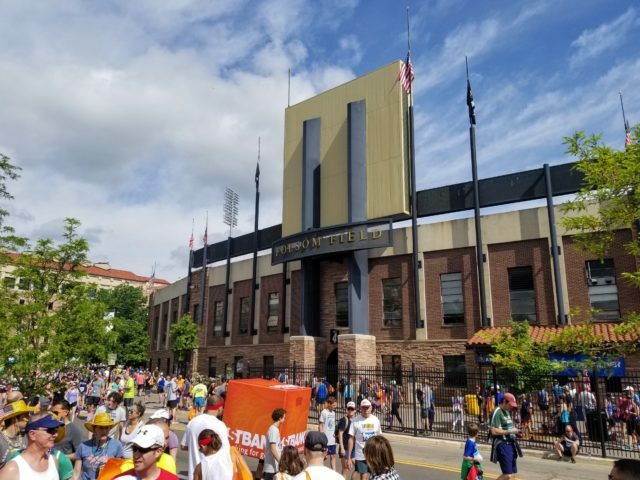 The community of Boulder, Colorado invites professional and amateur athletes to compete in a race that concludes in Folsom Field Stadium. Spectators and contestants kicked off the race within the streets of Boulder, Colorado early on Monday, May 28. 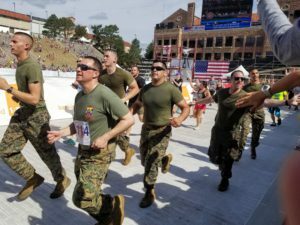 The 40th annual BolderBOULDER was held on Memorial Day, and provided service members a chance to connect with the community. Boulder is known for promoting a healthy and progressive mindset overall, but events similar to BolderBOULDER help bring awareness to the importance of exercise. It marked my first time covering a running event. One of my friends ran in the event, and suggested I check it out. As a person that enjoys outdoor recreation, but has not made the jump to competing in a race, I still found this event to provide entertainment for all ages. One of the runners was interviewed on the live feed being broadcasted with Folsom Field. It was interesting to hear that he had been running in the event for the past forty years. Watch over the YouTube and Twitter videos for more on BolderBOULDER 2018.